No offense, Blanka, but look at yourself. Welcome to The Monster Files, you big ol’ ginger man-beast. This feral fighter has been a Street Fighter icon since his introduction in the second release. From the start, he stuck out like a huge, green sore thumb, which was just what Capcom intended. His backstory, even by fighting game standards, is all kinds of nuts. 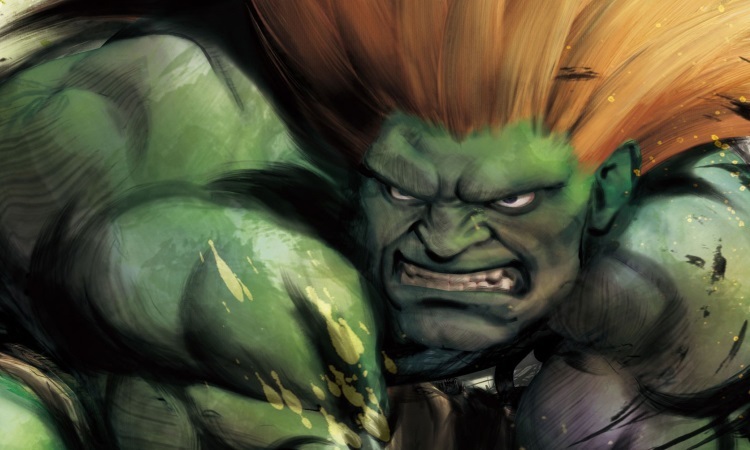 Blanka was once human, but mutated following a plane crash in Brazil as a child. This, apparently, turned him green, as well as granting him the power to generate electricity in his body. It makes perfect sense, I’m sure, if you’re a Marvel superhero. But crazitude aside, these traits are highly useful in combat. 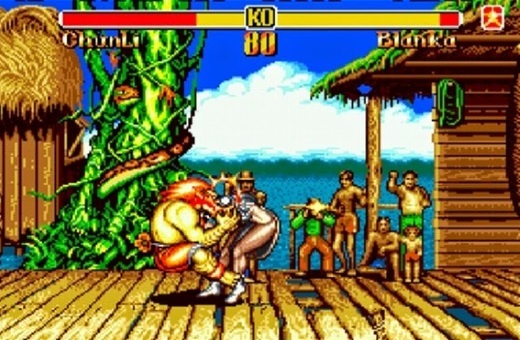 Blanka doesn’t fight traditionally, unlike Ryu with his shotokan karate or Chun-li’s Chinese martial arts. His attacks are brutal (that biting your darn face right off grab of his in particular), powerful, unpredictable and wild. If you’re familiar with the character, you’ll know that he plays unlike just about any other character in the genre. He’s best known, of course, for that infernal electricity. By simply mashing the button, you can generate a short-range shock field which will electrocute any fighter who makes contact with you. This is his signature move, and you’re crouched immobile while performing it, but it’s a huge pain for jump-ins and cements Blanka’s reputation among the most vicious of Street Fighter stalwarts. Another trait that sets him apart is his mobility. While not especially fast-moving, per se, Blanka’s character-defining spinning attacks let him also cause trouble when you think he’s at a safe distance. These let him roll into a ball and ‘dash’ forward Sonic the Hedgehog-style. It’s another manoeuvre unlike anything else in the game. Naturally, all of the fighters were designed to look, feel and play as differently as possible. To get that whole world fighting championship feel, you need to be able to contrast Zangief’s slow, devastating wrestling moves with Vega’s swift, elegant ‘Spanish ninja’ techniques. But even so, Blanka was –in more ways than one– the wildcard. His unique design has endeared him to fighting game fans everywhere.